Jack Bennett has it all. Money, a great job, a beautiful wife, and two amazing sons. Then things begin to change with the discovery of a far off alien race. He soon realizes his happy life is more fragile than he could ever imagine. Thanks to a handful of maniacs, his perfect existence quickly changes into a nightmare that he cannot escape. 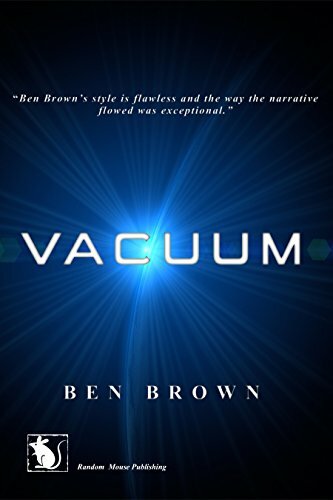 Vacuum follows the last human in the universe, as he spirals from one catastrophe to the next. Jackâ€™s once perfect life becomes a trial, lasting thousands of years. His slow descent into insanity is halted when his jailers give him the simplest of things; a pen and paper. With these gifts, he begins to document his life. The journal offers him an escape from the hell his existence has become. It opens a door to memories long since forgotten; both good and bad. This fascinatingly touching tale explores the importance of love, loyalty and kindness. It showcases the strength of the human spirit in dealing with bigotry, hate and intolerance.